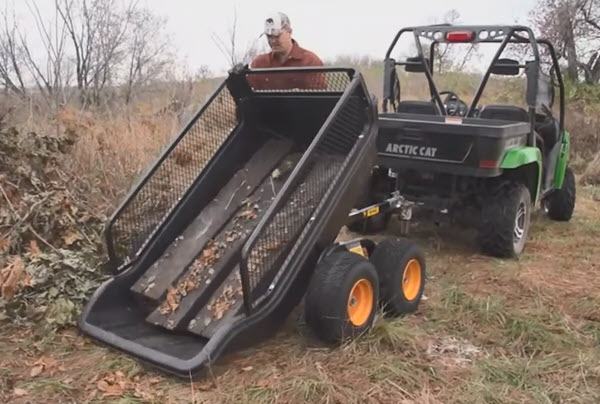 When it comes to a pull behind style UTV or ATV trailer, there are a surprising variety of choices. This guide will cover all the main styles, axle types, suspension choices, and the several types of hitches available. We also include info on several types of specialty trailers you might not even know existed! 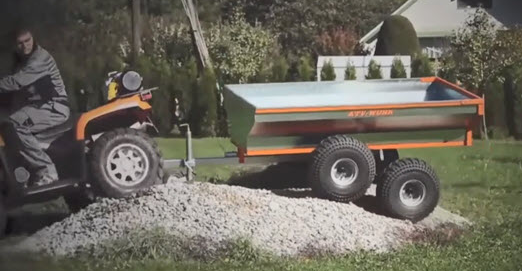 Most pull behind ATV trailers will be either 2 or 4 wheel. Single axle - Two wheel trailers will normally have a single axle connecting the two wheels. Lighter duty trailers may attach the axle directly to the trailer chassis for the most simplicity. These are fine for light duty use at very low speeds like simple lawn carts. Many heavier duty single axle trailers will use some sort of suspension for smoother towing of bigger loads, or towing at higher speeds. Most utility style trailers will be in this category. Single axle trailer with plastic dump tub. 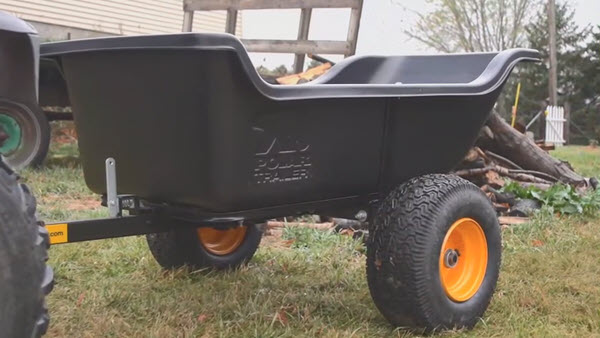 Axleless - This style ATV trailer mounts the wheels independently on each side. There is no direct connection between the wheels. They can be used with or without suspension. Normally seen on specialty trailers that need lower or higher ground clearance than usual. Conventional solid axle with leaf springs on left and swingarm axleless style on the right. Single Wheel - Kind of a cross between a rear rack and a trailer. They plug directly into the receiver hitch and employ a caster type wheel for load support. Double axle - Four wheel trailers will normally have two axles mounted in either a tandem or wagon style. Tandem - The two axles are mounted one in front of the other in close proximity. Most use a tube or beam to connect the wheels on either side. Other specialty type trailers for offroad use may use an articulating type mounting that connects the two wheels on the same side of the trailer. Double axle utility trailer with dump bed. 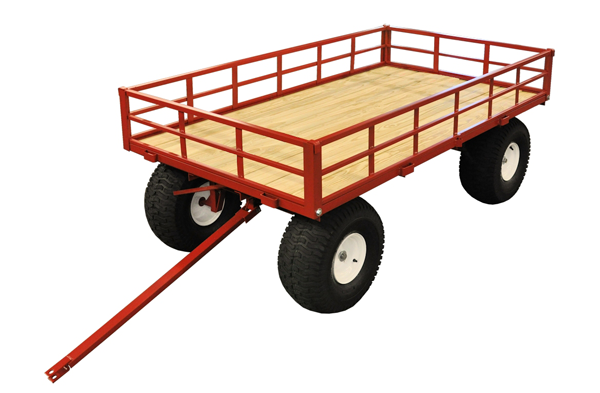 Wagon - Also uses two axles but mounts them at the front and rear of the trailer. Since the front of the trailer has an axle to support the load, tongue weight is not a concern with this type trailer. 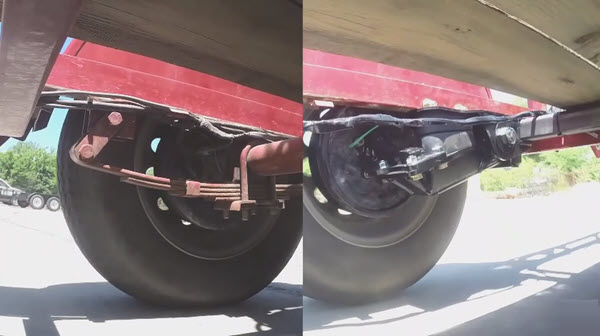 Solid axle - Uses a solid tube or beam that connects the wheels across the width of the trailer. By far the most widely used axle. Light duty applications may have it mounted directly to the trailer frame. 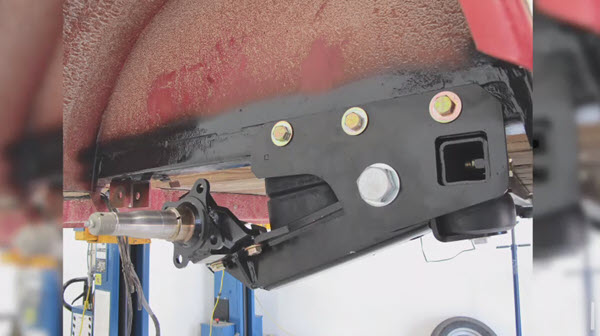 Most utility type trailers will have a simple leaf spring mounting. Independent - Used on 2 wheel UTV and ATV trailers. Allows the wheels to move independently on each side. The swingarm style mounting is the most common. This has the added advantage of some amount of ground clearance adjustment. Independent swingarm with rubber suspension. Articulating - This type connects the wheels on each side of the trailer with an articulating beam that allows the wheels to "articulate" independently over uneven terrain. Ball - The most popular hitch type. Comes in different diameters with threaded shank for attaching to the mounting plate on your ATV. Receiver - Most larger ATVs and almost all UTVs will come with a square tube receiver for this type hitch. 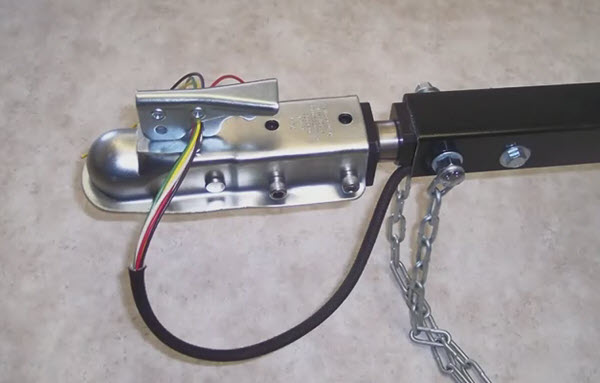 The male part of the receiver will usually have a ball or clevis type hitch for connecting the trailer. 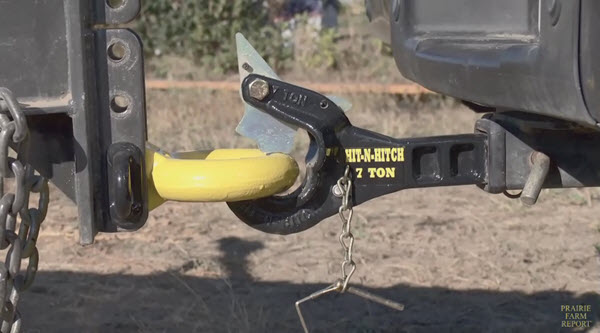 Hitch pin - This style uses a C-shaped clevis with a pin to attach the trailer to your ATV. Combo ATV trailer hitch has ball and hitch pin on a receiver mount. 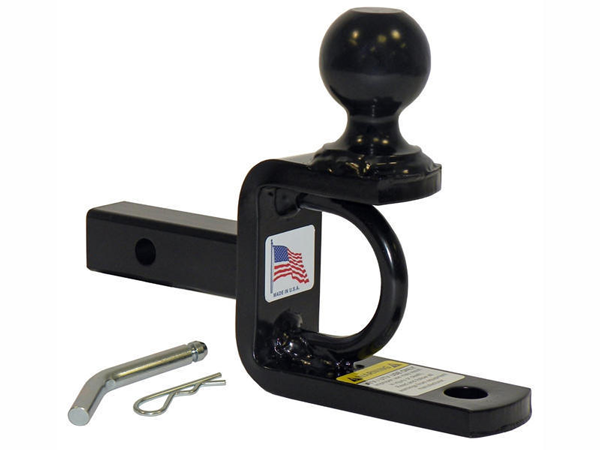 Pintle - A heavy duty type hitch using a ring and locking hook connection. These are fairly rare for ATVs, but some agricultural type trailers use them. Rotating - Looks like a conventional ball hitch but can rotate 360 degrees. 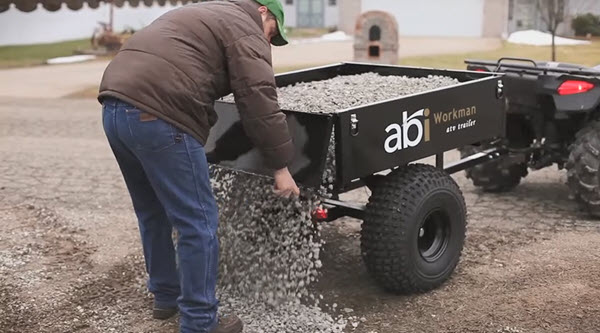 Helps to keep the ball and hitch level as the trailer goes over uneven terrain. Pintle hitch with automatic lock. Offroad articulating - When the going gets really rough and the terrain extreme. 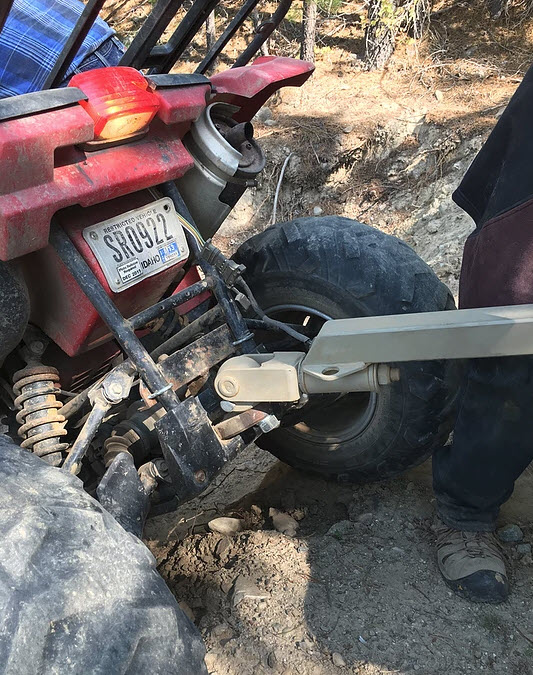 This hitch has a 3-axis pivoting action to keep the trailer attached to your ATV in almost any situation! 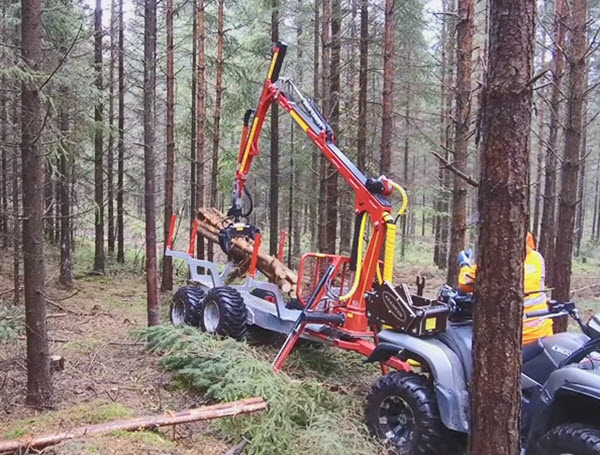 Offroad articulating hitch rotates in 3 axis. Wagon - uses 4 wheels moved to the corners of the trailer. Front wheels will normally steer as the ATV turns. 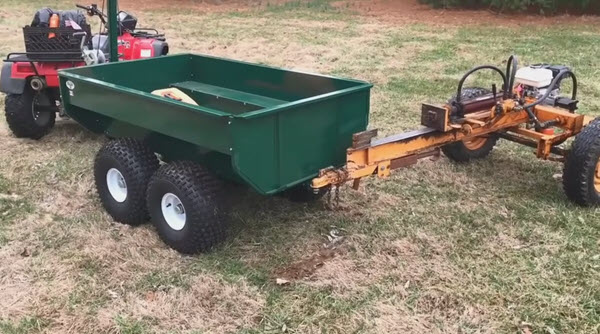 There is no tongue weight with this style trailer so an ATV can usually pull a little larger wagon style trailer. Offroad - Trailers intended for offroad use will have higher ground clearance single axle setups. Double axle styles will usually have an articulating axle style to help keep the trailer level over rough terrain. 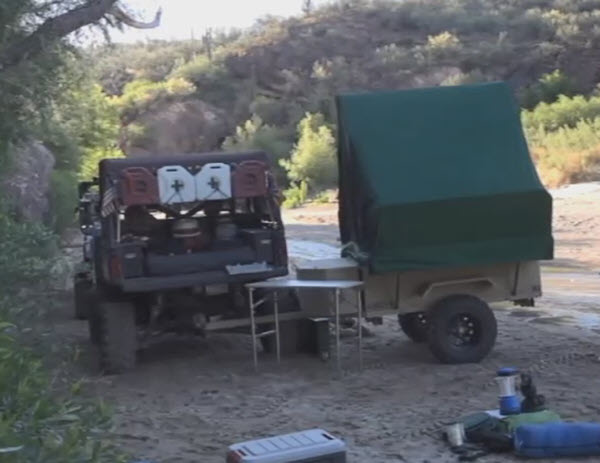 This is why offroad camping trailers need high ground clearance. Articulating tandem axle offroad trailer. Flatbed - Useful for larger or bulkier items that would interfere with side rails. Some trailers have removable side rails so it can be used as a flatbed. Utility - The most common style. Usually a single axle with a flat bed and low side rails. A tailgate can be opened to spread material as you drive. Dump - One of the more popular and useful four wheeler trailers. They can range in size from a small yard trailer to a double axle with a powered dump bed. They can also be equipped with tailgates that can be opened to allow for spreading material as you drive. Convertible - Also called multi-use. 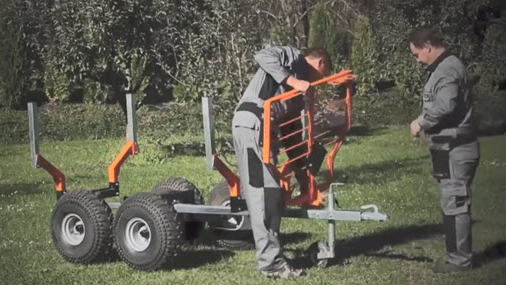 They come as a basic frame and axle and use attachments to the frame to convert the trailer for multiple uses. Multi-use being converted with attachments. Specialty - A type of ATV or UTV trailer designed for specific jobs. 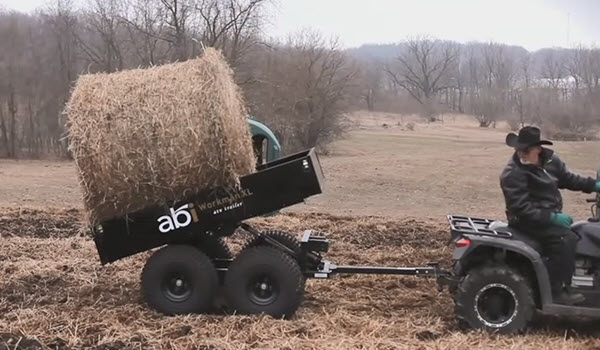 Below we see a farms trailer configured to carry round hay bales and drop them in the field by using a powered dump bed. 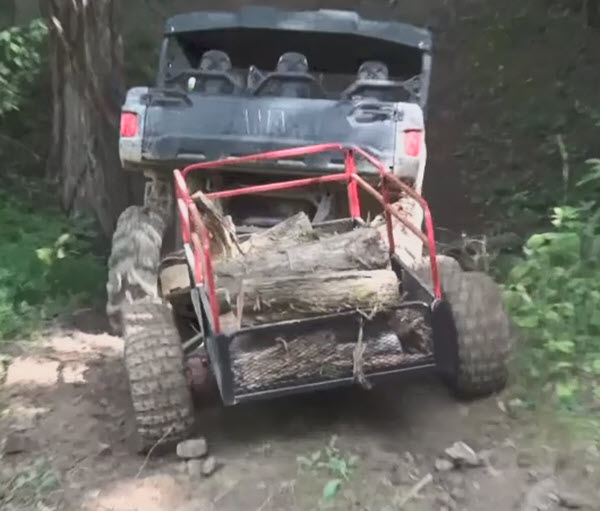 Next is a specialized offroad camping trailer that can be pulled by an ATV or UTV. 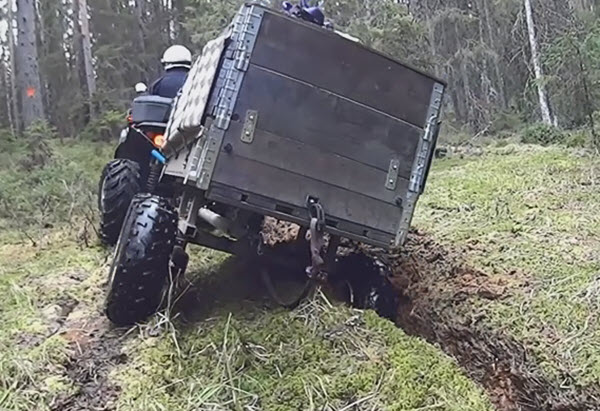 The last photo is a logging trailer designed for very tight spaces that be pulled by an ATV. It even comes with a hydraulic loading arm! Farm trailer with electric dump bed. ATV logging trailer with hydraulic arm. As you can see from this article, if you have a need, there's a good chance someone makes a trailer to handle it. Have any comments or questions? Let us know in the comment section below. 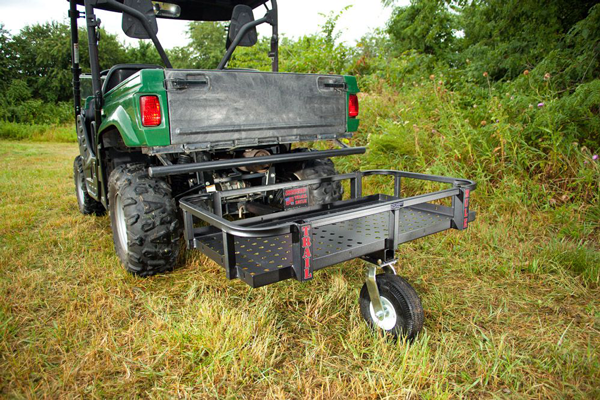 Home › ATV Trailers Guide › Pull Behind UTV/ATV Trailer Guide.